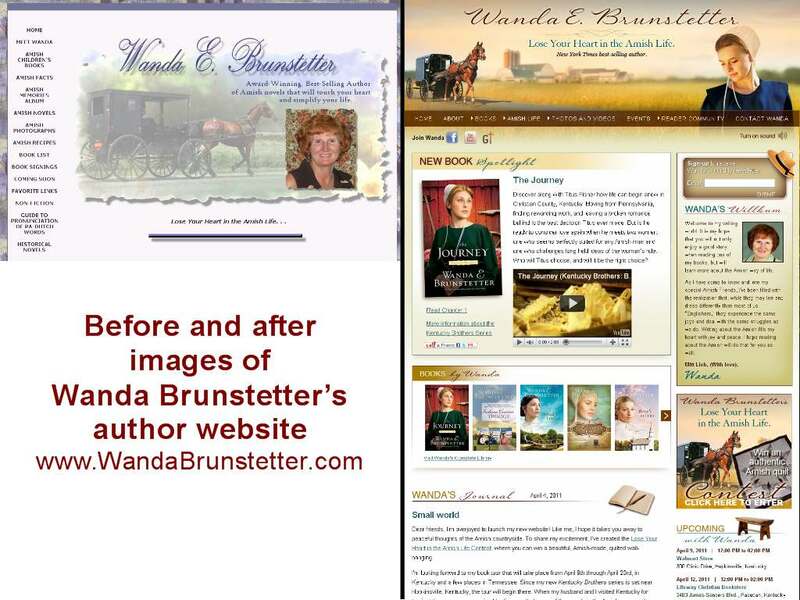 Wanda Brunstetter is an established novelist who has written over 50 books and sold more than 5,000,000 copies. But, like many successful authors, Wanda didn’t stay up-to-date on new technology and the radical changes affecting the publishing industry. Therefore, she began to experience increasing competition from new authors vying for attention in her already crowded genre of romantic fiction. 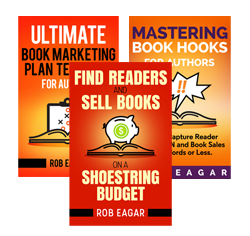 Wanda and her publisher, Barbour Books, approached Rob Eagar to help overcome this problem and boost her book sales. Rob noted that the author lacked a strong brand to help differentiate her in the marketplace. Worse, her author website looked amateurish and lacked essential marketing tools, which hurt her credibility and hindered her book sales. Rob Eagar solved this problem by giving Wanda an “extreme makeover” through revamping her author brand and transforming her website. The makeover presented Wanda as the authority in her genre, helped draw higher levels of Internet traffic, and promoted her new novels in a much more professional manner. 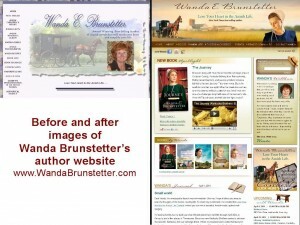 The launch of Wanda’s new website was timed to coincide with the release of her new novel, The Journey. The results of Rob’s author makeover were significant. In the first 30 days, Wanda’s new website received the highest month of Internet traffic in her history – over 10,000 visits and a 66% improvement over her previous best month ever. More importantly, Google Analytics showed that the “Books” page received the most attention from visitors on the website. This activity helped drive awareness and sales for The Journey, and the book’s Amazon ranking dropped all the way down to #976 within 48 hours. The sustained buzz from the website traffic complemented the media interview and book-signing campaign setup by Wanda’s publisher. All of these factors worked together to help The Journey reach #23 on the New York Times paperback fiction bestseller list and #141 on the USA Today bestseller list. Since then, Wanda’s monthly website traffic has remained over 40% higher than her previous monthly average. In addition, her next six novels all hit the New York Times bestseller paperback fiction list! 6 consecutive New York Times bestsellers!